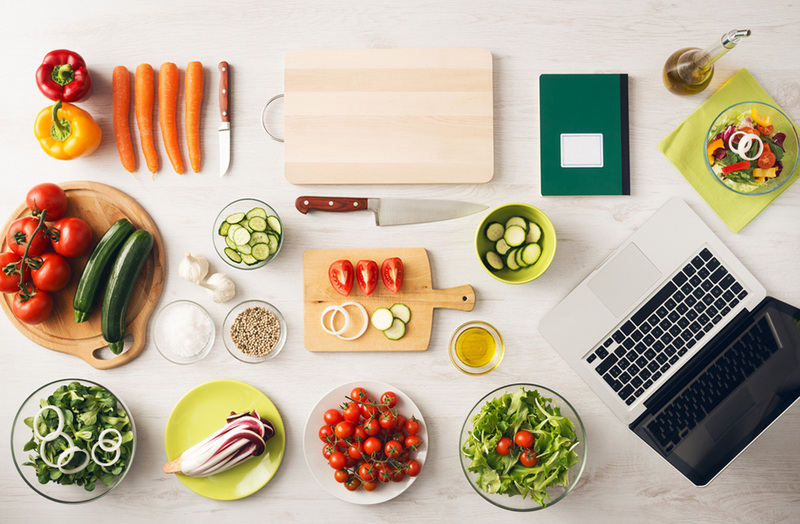 We are here to help you find the best countertop convection oven! There’s no way around it, kitchens are becoming more technologically advanced every day and sometimes we don’t even notice until we’re standing in front of our oven, wondering what the hell is the convection setting, what it does and whether or not you should use it. We’re going to cover all that and more in this article but let’s start by saying that if your oven has a convection setting or, better yet, you have a convection oven then you’re very lucky... and if you don’t have one? Well, you might just want to go out and get one by the end of this. Find the best countertop convection oven below. If your looking for a top of the line convection oven, the Breville BOV845BSS Smart Oven is the best there is. It’s stylish, energy efficient, versatile and worth the money. The controls are very simple and easy to use. 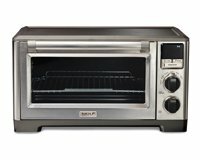 This Breville BOV845BSS Smart Oven is the top rated convection oven. Convection ovens come in both electric and gas models. Electric convection ovens work entirely with electricity, both to heat up and to circulate the hot air inside your oven. Gas convection ovens work with both electricity and gas. It uses gas to heat up your oven and electricity to circulate the hot air inside of it. Gas convection ovens tend to be larger but also more powerful than electrical ones; while electric ovens are smaller and more practical, but they can’t fit as much food as gas ones. Choosing which one will work best for your needs is your first step towards buying the perfect convection oven. Convection ovens come in a variety of sizes to better fit any kitchen, and while that’s practical, it also means not everything will fit in them. Before purchasing any type of convection oven make sure to measure your countertops to make sure you have the space for them. You should also measure anything that you plan on putting inside the oven, from baking sheets to casseroles and even frozen pizzas. A fantastic convection oven won’t do any good if it’s too small for you, so measuring before purchasing is a must. Don’t forget to measure height, width and depth to get a better idea of the size of the oven you need. As a general rule, almost all convection ovens work as a regular oven as well but some go above and beyond and offer other kinds of functions. Convection ovens can also be toaster ovens, grill and even microwaves so keep in mind all the possible uses your desire convection oven has and decide whether or not it’s a good fit for your kitchen. For example: If you already own a microwave, you could save a lot by purchasing a simple convection oven, rather than one with microwaving functions. Likewise, if you have no microwave, investing the extra bucks into a convection oven that also microwaves means you’ll only have to purchase a single appliance. How easy is it to use a convection oven should also have a lot of weight in your decision. Some convection ovens come with a screen that let you know the temperature with which you’re cooking, the time and even what kind of cooking method you’re using. These usually come with buttons to make it easier to set the times. Other ovens come with typical dials that help you select the function of the oven, the time and the temperature. Others come with a combination of both that can be rather hard to understand. A good number of convection ovens also come with a bunch of extra features, some featured prominently in buttons and some hidden unless you read the entire owner’s manual. Make sure you understand how to use your convection oven even before you purchase it, as this will save you a lot of headaches later. Sometimes all you want to do is start and appliance and let it do all the thinking for you and Breville’s “smart oven” can do just that. This countertop convection oven comes with several pre-set functions (such as pizza, cookies, broil, roast and toast) that take away all the guesswork that comes from cooking. However, these features will be wasted if you’re the kind of person who prefers setting up everything their own way so keep that in mind when considering appliances. This is a large oven that can fit up to six slices of bread at the same time and its toasting function is amazing, delivering great toast over and over again. This is a very easy to clean oven, which is always a plus, and it comes with 3 rack positions. Whether you use these or not, however, depends entirely on you. 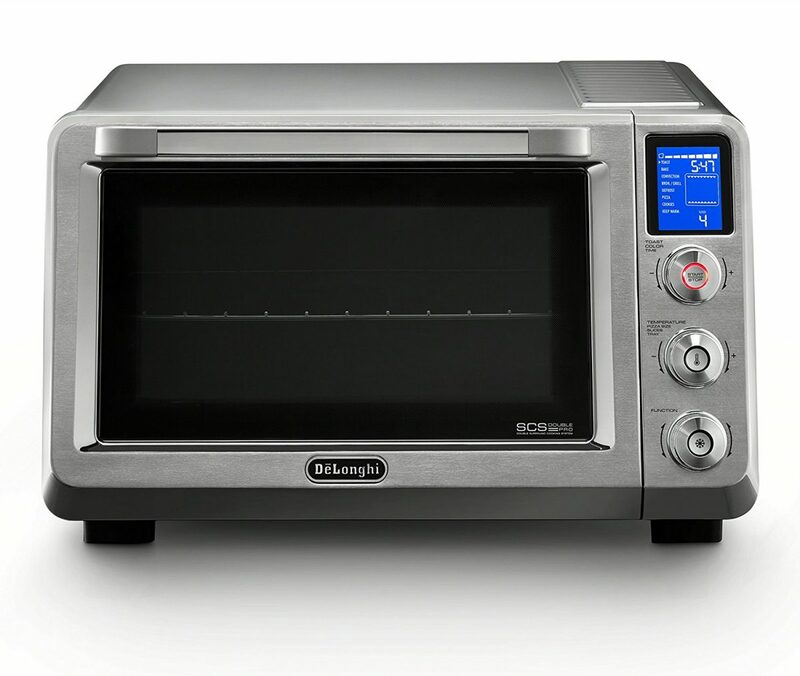 If what you’re looking for is a more conventional toaster oven with convection functions, this is the option for you. Oster brings to your kitchen a surprisingly large countertop convection oven that can fit just about any budget. This oven comes with a digital clock and an interior light that will make it easy to use in just about any condition. It comes with a boiler rack included and, while none of its parts are dishwasher safe, it’s really, really easy to clean. This beautiful convection oven also comes with a variety of pre-set options that will make your life easier. Such as pizza, defrost, warm and bake. Yes, bake is a pre-programmed setting, but you can always adjust the temperature to fit your needs. While the interior is quite spacious, it takes surprisingly little space in your kitchen and while it does get hot on the outside, it seems to stay cooler than similar ovens. Not everything about this oven is perfect, though. This convection oven, like just about any oven, gets pretty hot when in used so make sure to leave some space around it. If you care about size there’s simply no beating the Hamilton 31104 countertop convection oven. This oven can fit not one but two 12 inch pizza so you’re definitely going to get a lot of bang for your buck, as they say. Talking about money, this is a very affordable model that you should absolutely consider if you’re in a tight budget not only because of its price and size but also because it can bake and broil, which is more than some countertop ovens of the same price can say. The size of this thing means that it will take a lot of space in your kitchen. Sure, if you use instead of an oven you won’t have any issue but if you don’t have that kind of space to spare? Beware! This oven gets really hot and keeping things around it while in use might be a bit of a hazard. Another thing to consider is that the temperature labels don’t match the oven’s temperature since the oven usually runs about 25 degrees lower than it says it does. Talking about the temperature labels, not only are they incorrect but they also are placed rather oddly which can be problematic to some. Black+Decker brings to the table a solid and reliable countertop convection oven that’s great for people that are looking to replace traditional ovens entirely. This appliance is large enough to fit things such as a whole chicken, a 12’’ Pizza and even a casserole dish without much issue which means that, whether you’re cooking dinner for one or for a whole family you’ll have room to spare! This is a rather technologically advanced design that might prove problematic to some as it isn’t particularly intuitive but it comes with a comprehensive manual that will clear all your doubts if you give it a good read. As for function? This convection oven works like a charm. Cooking things easily and quickly in ways that will surprise you. Word of caution, though, this oven gets really hot when in use so you should try to give it as much space as possible. We’re not kidding: The only parts we were capable of touching comfortably while this oven was being used were the handles and the buttons so threat cautiously when you’re cooking with this baby. One of the main advantages of countertop convection ovens is that they can often be used instead of regular ovens, which is a great thing for people living in small apartments or studios (or those who have an oven but prefer saving energy and money by using something smaller). Cuisinart’s TOB-260N convection oven is one of the best out there if you plan on using them as a traditional oven replacement because it comes with all kinds of functions that will make your life easier. 15 to be precise. Taking about precision, the temperature controls of this oven are great and very responsive so your food is cooked fast and evenly, just as it should. Our favorite features are the interior light –which makes it feel even more like a real oven– and the accessories… yeah! You read that right. It comes with accessories such as a pizza stone, cooking racks and more! One of the downsides of this model, and perhaps the biggest downside of them all, is that it’s not intuitive at all. There are 15 cooking functions and even reading the manual we’re not entirely sure what makes some of them different from others. Another problem is that this oven is kind of loud, particularly in the convection setting, but that’s to be expected from an appliance such as this. Another thing that is to be expected is the fact that this oven gets very hot so you should be very careful when using it to avoid any possible accidents. Convection ovens come in all shapes and sizes; some are full with features and others include just the basics and, as you can imagine, their price changes accordingly. This KitchenAid countertop convection oven is a nice compromise between two worlds. It’s affordable but it still offers features such as a non-stick interior that makes it very easy to clean, an automatic shut off function for safety, a buzzer that will constantly remind you when a dish is ready and more. Not only that but this is one of the most stylish countertop convection ovens out there so if you’re looking for something that works and looks well then this is a product you should consider. There are two things that you need to consider when looking into this product. The first is just how loud it is because, let us tell you, this oven can be pretty loud. The second is the fact that, at least compared to other convection ovens, it takes a while to heat up. It will work wonders once it’s actually hot and running but if you’re looking for an oven that goes from 0 to 60 in seconds then this isn’t the convection oven for you. Everyone knows the kitchen giant WOLF. They make luxury kitchen products and this convection oven is no exception. It is easy to use with only two knobs, but has 6 functions. It can roast, bake, broil, proof, warm, and toast. In case you don't know, "proof" is where the oven will heat to a low temperature to allow dough to rise or to thaw frozen foods. You can avoid using the oven and microwave altogether with this countertop convection oven. It has 5 heating elements and a powerful fan with high-volume airflow vents so you will never have uneven cooking or hot spots. The only downfall with this option is the price. It is more than $500, but if you do not have to use your oven or microwave when you buy this, it is worth it! You can't go wrong with Wolf products! Panasonic is an electronics brand that’s better known for their entertainment systems, which explains why this convection oven looks more like a TV than the ovens we’ve come to expect. This beautiful and modern countertop oven can work as an oven, a toaster and even a microwave, by combining induction and infrared heating in a single place. If that wasn’t enough, it comes with a grill plate that gives you even more possibilities, giving you a versatility few can match. While the title says “induction” rest assured that this fantastic oven actually comes with an induction function as well, so your food will cook fast and thoroughly. Here’s the thing, though: Because this oven uses both infrared and induction technology, cooking times change considerably from what you’re used to, so you’re going to have to refer to the instruction booklet over and over again until you finally get the hang of it. If a learning curve doesn’t bother you, and if you’re looking for an oven that can handle just about any task you throw at it, this is the countertop oven you want. Just bear in mind that all those functions aren’t cheap, so this oven is on the pricy side of things. Very versatile. Can cook just about anything. Comes with a grill plate that lets you grill indoors. Uses induction and infrared technology. Toast takes longer than normal to be ready. If you thought the Panasonic induction oven looked out of the ordinary, it’s only because you haven’t met the Nuwave Infared oven. - Conduction: Which sends heat directly to your food. - Convection: Which circulates heat to heat your food evenly. - Infrared: Which cooks your food from the inside out. That you can cook your food up in half the time it usually takes. Oh, and you can skip the defrosting process entirely. Yes, it takes a bit of practice to learn how to use this oven but you can say the same about any other product. Plus, the instruction booklet is clear and concise, so you’ll be able to use this baby pretty much straight out of the box. This oven can fit a 16 lb. turkey with no problem and offers you the possibility to purchase extenders to give you more room. Plus, it comes with a cookbook that will teach you exactly how many things you can do with this amazing product. It has warm, reheat, and delay settings. It should come as no surprise that this oven can’t be used to toast and it’s can only be used for baking and frying but, trust us, you’re going to love it! While you may be more familiar with DeLonghi thanks to their coffee machines, they make other kinds of products and with the same fantastic quality. 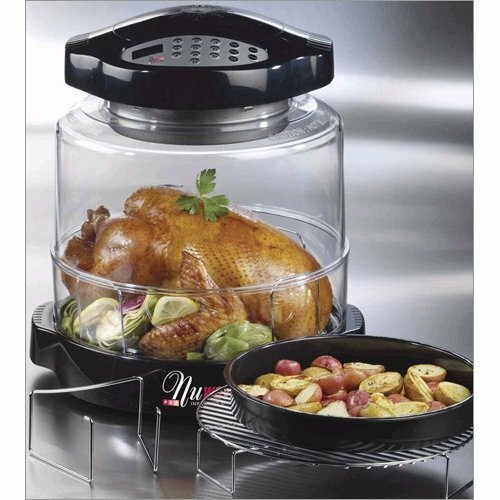 This beautiful convection oven can be used to bake, broil, toast, and even roast because it acts as a rotisserie as well! While the interior is surprisingly large, the exterior doesn’t take up all that space. It works great for people who don’t have a lot of space at their disposal and for those cooking for one or two people. This oven does come with three knobs, so learning how to use it properly can be a bit confusing, but it comes with eight preset programs. Whether you want to bake cookies, roast a chicken or make a pizza, let the program do it for you! As is the rule for convection ovens, this oven can get really hot when in use, so keep that in mind. What is Convection Oven And How Does It Work? Convection is defined as “the transfer of heat by the circulation or movement of the heated parts of a liquid or gas”, a simple concept that we can simplify even further when talking about cooking. In the kitchen, convection means spreading the heat evenly through your food by using a fan. A convection oven, thus, is a kind of oven that lets you heat your food thoroughly and evenly by circulating hot air around your food ensuring a better overall result than most conventional ovens can achieve. There are a number of advantages to using a convection oven (or the convection setting) over your typical, run-of-the-mill, oven. Speed: Because heat is circulated much more effectively and less of it escapes, your food cooks faster which is always a plus, particularly if you have to feed a hungry family. Reduction of Heat Spots: The problem with regular ovens is that, sometimes, the food overheats where the heating element is located. This means that some areas will overcook while others are perfect or, worst, it means there’s a risk you’ll find a scorching hot bite of food when everything else was just perfect. By using air to circulate the heat better you ensure that your food cooks evenly, eliminating heat spots and all of their risks. ​Helps the Environment (and your pocket): Think about it. Using a convection oven reduces your cooking time which in turns reduces the amount of time your appliances are turned on. This helps reduce energy use which you’ll notice next time it’s time to pay your bills! Excellent Browning: Because of the circulating air, the inside of a convection oven is a very dry place. This means that browning, and even frying, is done not only faster but better roasting the outside of your food while leaving the inside soft and ready to eat. Which Foods Cook Best in the Convection Oven? Pies: There’s nothing tastier than a pie that’s crunchy and crispy on the outside while being tender and delicious on the inside. Convection ovens excel at this, leaving you with excellent pies. Cookies: Since the air is circulated all around the inside of a convection oven, you’ll be able to cook two or even three trays of cookies at the same time without having to lift a finger through the entire baking process. ​Toast: Without any pots or pans, a convection oven will not only toast your bread much faster but will also do it thoroughly which means you won’t have to deal with toast that’s black on the edges and soft inside. ​Dehydrating: The whole point of dehydratin﻿g is to remove moisture which can be accomplished much better on a dry environment. As we’ve mentioned before, convection ovens are extremely dry which makes them the perfect candidate for this task. Anything Roasted: We’ve already covered this part so we’ll keep it short. Convection ovens are the best when it comes to roasting food. 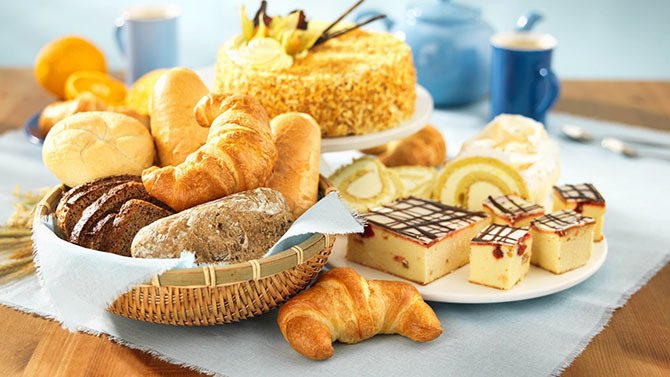 Pastries: Some kind of pastries require a dry environment for the dough to rise properly. Convection ovens are great for this. The convection ovens are also good for cooking some kinds of pastries, particularly pies and cookies. Bread and cakes, on the other hand, do much better in the humid standing heat of a regular oven. Which Foods Shouldn’t Be Cooked in the Convection Oven? 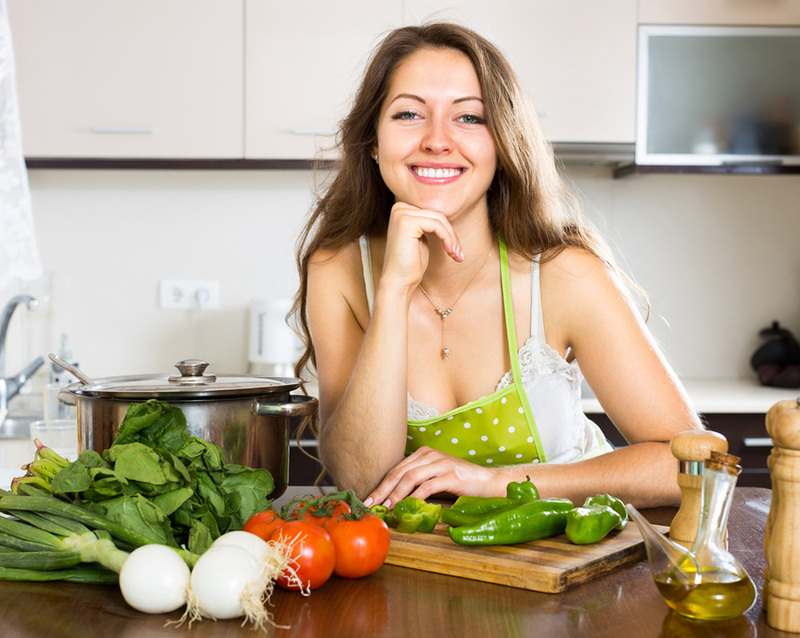 As a general rule, delicate foods and foods that require a certain degree of humidity should be cooked somewhere else, like a regular oven for example. Cakes: To stay moist and soft, cakes need humidity which means than cooking them in a convection oven can dry them. Souffles: Souffles are a very delicate kind of food so blowing air all over them isn’t necessarily the best idea. 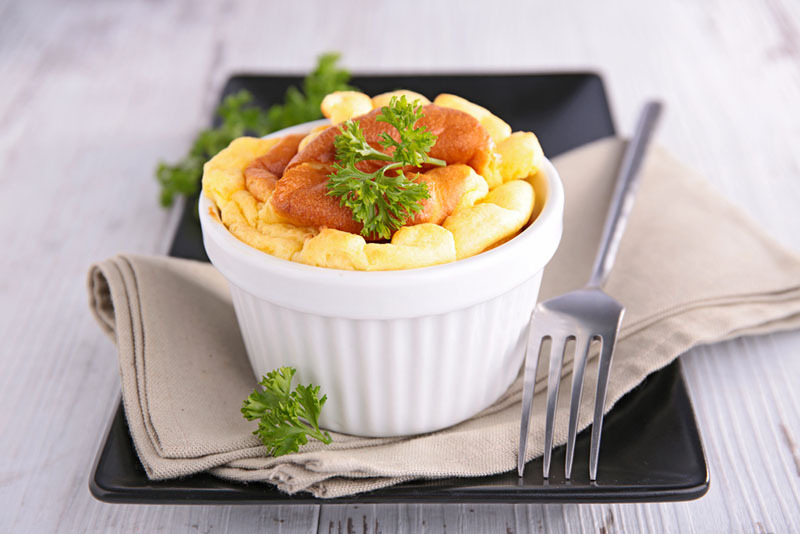 Are you worried that other kinds of food will be dry if you cook them in a convection oven? Don’t be! As long as you cover your food to ensure its own moisture doesn’t escape you’ll be fine and you’ll be able to use your convection oven as a regular oven… with all the advantages we’ve already mentioned before! So what can you do if your oven doesn’t have a convection function? Luckily there are such things as countertop convection ovens and, since we’re covering all there is to know about convection it’s only fitting to cover the best countertop convection ovens out there. You may also enjoy reading: The best 30 inch gas ranges and best portable induction cooktop.